Rustic Farm Table With Stylized Industrial Legs. 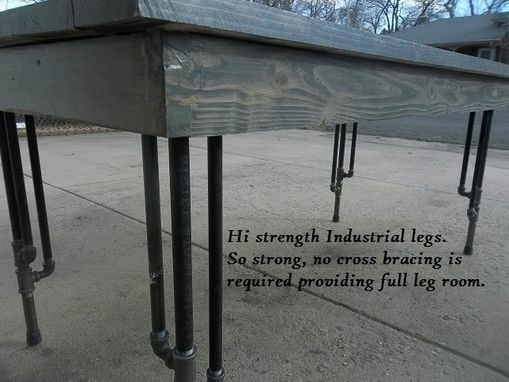 Built for super strength with no crossbracing like normal industrial tables. More leg room without crossbracing. 11//2 thick pine top. 11/4" apron. 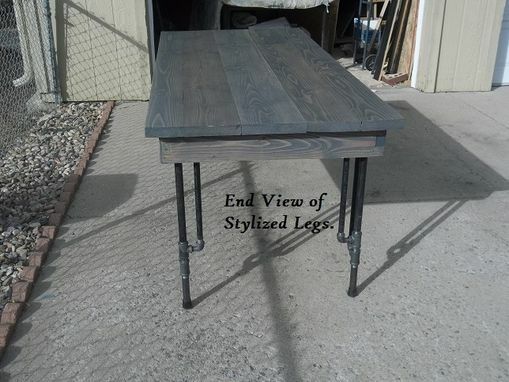 All new wood, no refurbished or reclaimed wood. Built to be an heirloom, passed down thru generations. 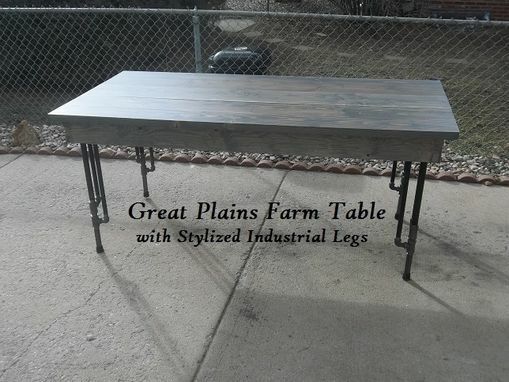 Dimensions: 70" x 33" x 31" high. 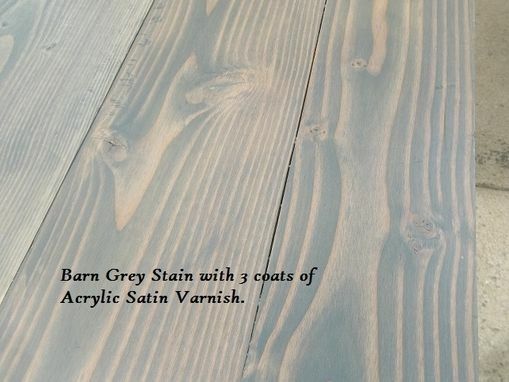 Stained in Barnwood Gray, finished in 3 coats of Acrylic Varnish, sanded between each. To me, the dining table is the family altar. And it is where the individual can share life's joys and sorrows in common love.